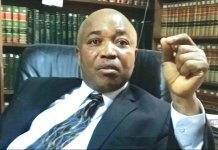 The Kinds of unprofessional and abusive use that the lawyer’s wig and gown are being put to in Nigeria continues to grow by the day. The most shocking part of this unfortunate development is that the lawyers themselves are majorly the culprits. Hence, Lord Halifax was right when he said that if laws could speak for themselves, they would complain of lawyers in the first place. It all started from what would seem to be abusive use of the lawyer’s wig and gown by non-lawyers in home and music videos to what obviously appears to be unprofessional use of the lawyer’s wig and gown by litigation and non-litigation lawyer in posters for political campaigns, for wedding ceremony pictures, among others. While the indiscretion of non-lawyers in this regard may be excused as they have in principle committed no crime, for the lawyer such indiscretion is at the least a professional misconduct. During the 2019 Election campaigns, a lot of lawyers across Nigeria, who are contesting for political posts, went beyond the limits by using their pictures wherein they are fully robed for posters and boards. This professional misconduct did not start in 2019, it started a long time ago, and there is no recorded or reported case where NBA, LPDC or the Bar Council has taken up this issue, and that will explain the reason for the continuity of the practice. Sometime in 2018, a pastor fully robed in the lawyer’s wig and gown used his picture to advertise his forthcoming revival programme on a very big billboard. As if this was not enough, the greatest shocker came up in early March 2019 when a female lawyer’s picture went viral online. The lawyer took a pregnancy photo shoot while fully robed, with her complete ‘baby bump’ fully exposed. She used her fully-robed picture as a ‘baby bump’ profile picture on Instagram, same which was shared on other social media platforms. In the picture, she wore her lawyer’s wig and gown, and exposed her ‘baby bump’, with her black shot skirt showing underneath the exposed baby bump. One of the fundamental things that the nobility of the legal profession relies on for its continuing existence and untainted respect is the set of rules that guide the conduct of its members both at the Bar and in the Bench, and the way and manner they are expected to relate to each other, their clients and the general public. 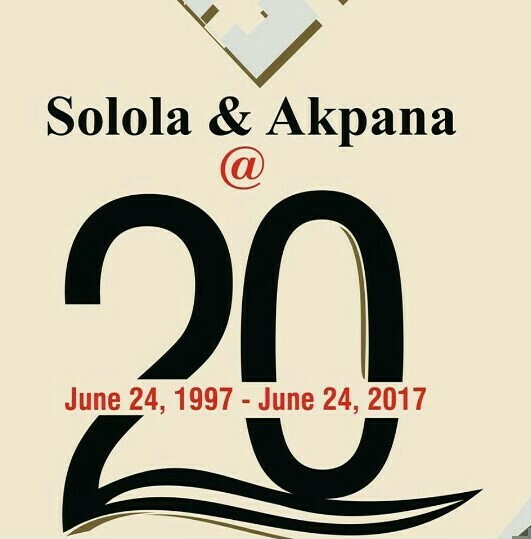 In Nigeria, the extant rules that govern the code of conduct of lawyers are as contained in the Rules of Professional Conduct 2007. 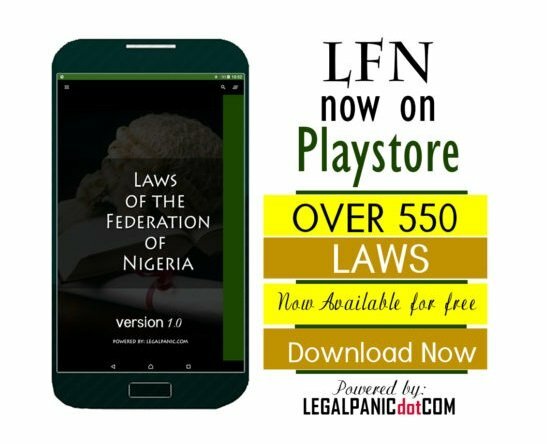 The Rules were made pursuant the Legal Practitioners’ Act LFN 2004, and as subsidiary legislation, they have the force of law just the same way as any law validly made by the National Assembly. The Rules appear to have all-encompassing provisions on how legal practitioners should and are mandated to live their professional life (and to some extent, their personal life that may have a strong bearing on their professional life), as long as they are practicing law in Nigeria. What constitute practicing law may be as little as drafting a simple tenancy agreement for a client. The Rules regulate the lawyers’ professional life from the word ‘go’ to the word ‘stop’. 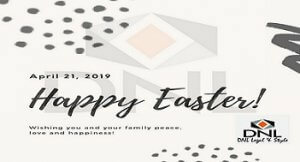 How a lawyer should talk or address the court, other lawyers, clients and non-clients is all addressed by the Rules, even up to the point of how a lawyer should dress and what can we worn by a lawyer and where such can and cannot be worn. For all intents and purposes, the lawyer’s robing or use of the lawyer’s wig and gown outside the court and other than for court business by any lawyer can only be done after such lawyer has first sought and had the permission of the Bar Council. Failure to obtain such permission will amount to professional misconduct. Professional misconduct is any act or omission that runs afoul of the ethics, practice and rules of professional conduct of the legal profession. Lawyers who engage in the use of their wigs and gowns in political campaign posters or in pregnancy (baby bump) photo/video shoot are casting aspersions on the nobility of the legal profession, as they are acting in contravention of the Rules of Professional Conduct. Lawyers have their lives to live, and nothing in the regulation of the legal profession stops a lawyer interested in advertising her exposed ‘baby bump’ on all the social media platforms via the internet or running for a national or state political office. In fact, it is their prerogative to do so. But the moment such lawyers brings in their lawyer’s robing or the use of wig and gown to achieve the aforementioned adventures, then they will be violating Rule 45 of the Rules of Professional Conduct 2007, and they could be (and I think should be) liable for the sanctions provided for under section 11(2) of the Legal Practitioners’ Act, LFN 2004. It is professional misconduct that is not infamous, but incompatible with the status of a legal practitioner to use the lawyer’s wig and gown other than as prescribed in Rule 45(2). 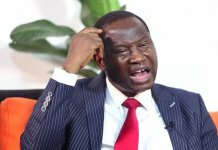 The sanctions provided for such misconduct under section 11(2) are: (i) suspending the lawyer from practice by ordering him/her not to engage in practice as a lawyer for such period as may be specified; or (ii) admonishing such lawyer. It is submitted that the prevalence of the practice among lawyers owes itself to the perceived (and I will say actual) indifference of the NBA, the LPDC and the Bar Council to rise to the occasion and re-affirm the position of Rule 45 (2) on the issue through admonition of the offending lawyers. 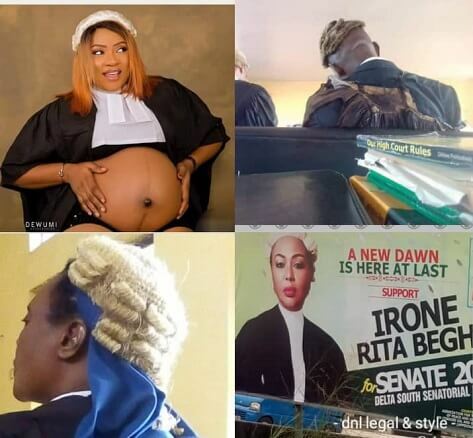 It was this perceived indifference, I firmly believe, that eventually brought about the ‘baby bump’ photo shoot by the female lawyer— a precedent that has now found its way into the open arena of unprofessional abuse, use and display of the lawyer’s wig and gown. This is a precedent that has the mighty power of repeating itself time and again, and with possible varieties of its kind by pregnant female lawyers. Section 11(2) of the LPA has to be applied in respect of lawyers found wanting in this regard. Failure to do this seems to be invitation of disrepute to the profession. As it pertains to non-lawyers, there seems to be no law or legal rule presently that regulates how non-lawyers may use the lawyer’s wig and gown—hence, the abusive use by them may find its justification in the mute silence of law on the matter. I have not yet seen that law that says non-lawyers cannot use the lawyer’s wig and gown for displays, video shoots, internet adventures, among other things—even if they use them abusively, provided they are not using them to misrepresent themselves to be lawyers. On 7th March, 2019, I saw a young man at Obalende wearing the lawyer’s wig and gown to play a satiric role in a street drama under the Obalende bridge. And we have seen many Nigerian movies where the lawyer’s wig and gown are abusively used. 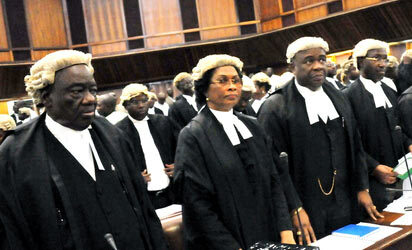 The question is: can we hold these non-lawyers for violating any law or rules on the use of the lawyer’s wig and gown? I will answer the question in the negative. The provision of Section 22 of the Legal Practitioners’ Act is very instructive here. It merely says it is an offence for any person to hold himself out as a lawyer or use the lawyer’s title if such person is not a lawyer. Mere use of the lawyer’s wig and gown by non-lawyers for photo shoots, home and music videos, internet displays, fashion shows, and baby bump brouhaha will not amount to an offence under section 22 as long as the wearers of the lawyer’s wigs and gowns are not representing themselves to be lawyers. 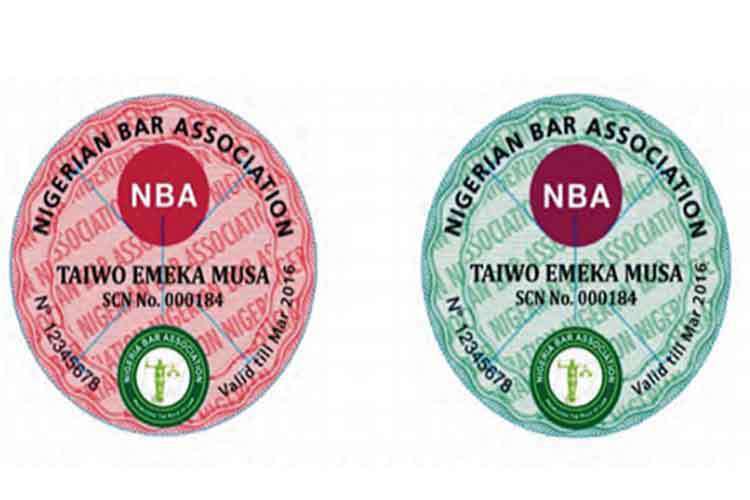 This is the unfortunate truth, and it goes to show that there is need to for the NBA and the Bar Council to seek the amendment of the law to accommodate regulation of the use of the lawyer’s wig and gown by non-lawyers before it completely gets out of control and casts aspersions on the nobility of the profession.